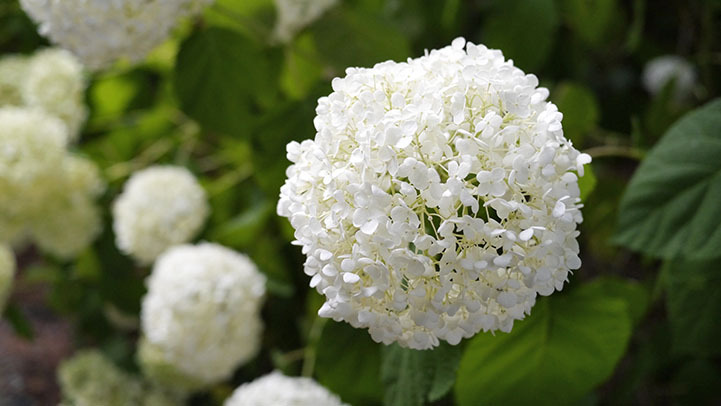 This flower is called a Hydrangea. They are one of my favorites. They also come in other colors. Something I always found interesting is that they colors are affected by soil acidity. My grandmother used to say that if you wanted them to be colored, you should plant a rag in the soil with them that is the color you’d like them to be. I think it may have just been an old Mountain wives’ tale but I like the thought anyway.